Ships today if you order in the next 14 hours 15 minutes. 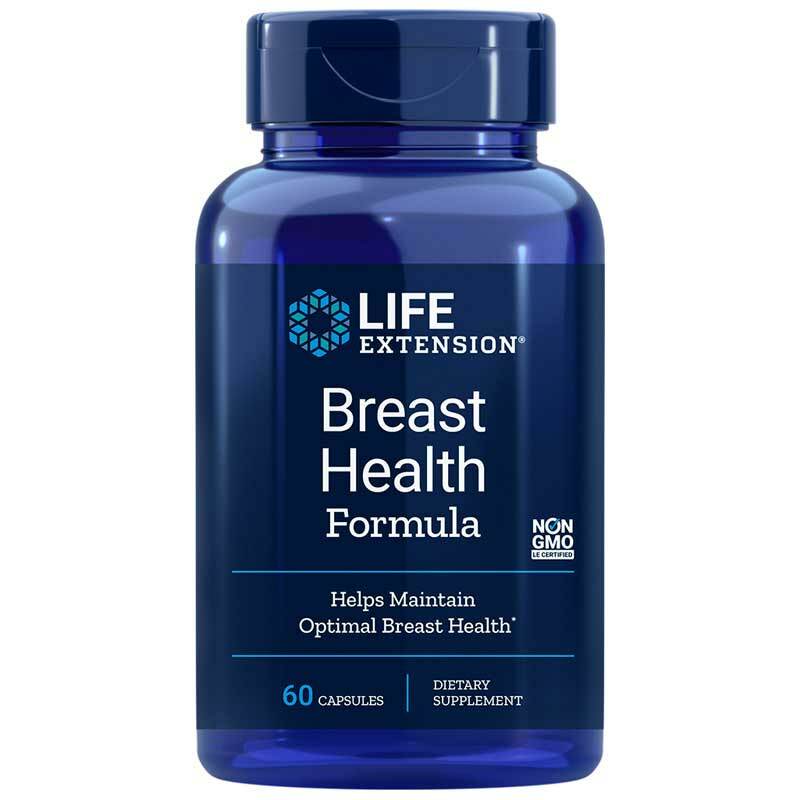 Breast Health Formula from Life Extension is a dietary supplement that may help maintain normal breast health with broad spectrum nutrient support. 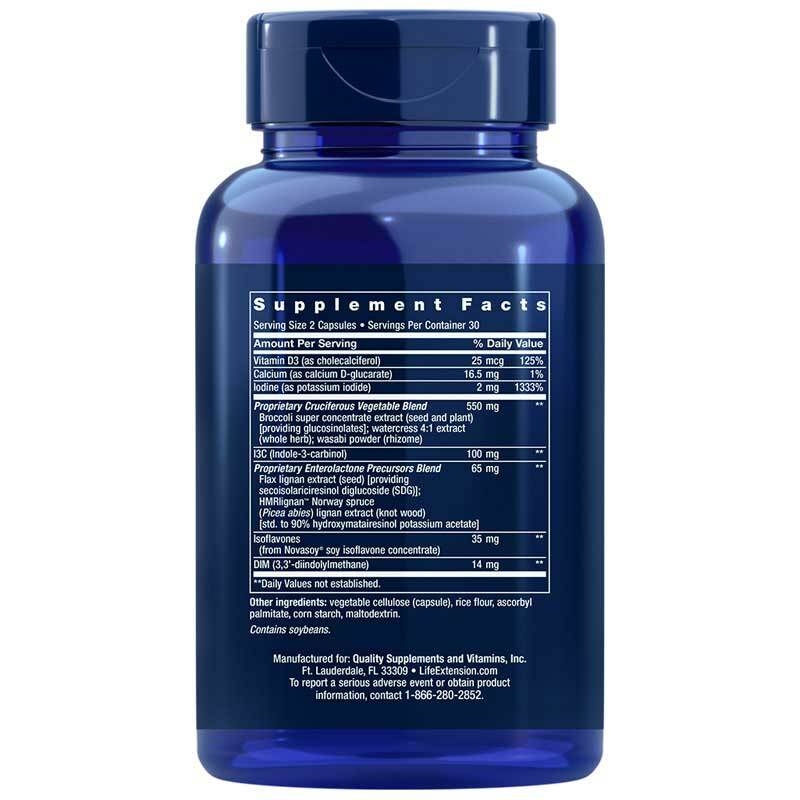 This formula contains vitamins, minerals and proprietary blend of cruciferous vegetable enterolactone precursors. These ingredients seek to support healthy estrogen activity and detoxification in a healthy body. The proprietary cruciferous vegetable blend includes broccoli super concentrate extract, watercress 4:1 extract, wasabi powder, and I3C (Indole-3-Carbinol) that seeks to support “good” 2-hydroxyestrone metabolites and help maintain “bad” 16 alpha-hydroxyestrone. 2-hydroxyestrone already within the normal range may support healthy breast tissue and cellular development during normal aging. Calcium d-Glucarate may help promote normal estrogen levels. Vitamin D3 (as cholecalciferol) seeks to support cellular development and healthy DNA replication during the cell division cycle. Iodine seeks to support a healthy thyroid and the normal production of hormones. During normal aging, internal challenges may disrupt the normal function of healthy tissue, including DNA replication and the cell division cycle. Adults: Take two (2) capsules daily for individuals weighing up to 160 lbs. Those weighing over 160 lbs., take three (3) to four (4) capsules daily. This product can be taken with or without food, or as recommended by a healthcare practitioner. Do not take if pregnant or lactating. Consult your healthcare practitioner before taking this product if you have a thyroid condition, high blood calcium levels, or hormone sensitive cancers. Individuals consuming more than 2,000 IU/day of vitamin D (from diet and supplements) should periodically obtain a serum 25-hydroxy vitamin D measurement. Do not exceed recommended dose. Keep out of the reach of children. When using nutritional supplements, please consult with your physician if you are undergoing treatment for a medical condition.